The 2007 Gay World Cup kicks off today: finally, a football tournament England can win! 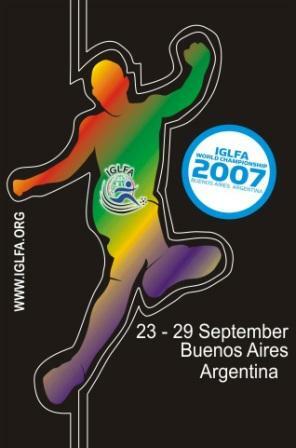 As we told you last week, the Gay World Cup is about to kick off later today in Buenos Aires, Argentina. The event is in its 17th year and is currently held by London side Stonewall FC, who are defending their crown. So, unlike the men’s and women’s World Cups, this is actually an event that England has a very good chance of winning â€“ which is why Pies has taken it upon itself to be the Unofficial Blog of the Gay World Cup. Exciting news, eh! Oh you are awful. Ollie you scamp! Given the hostility to the women’s game, I can’t imagine what these blokes go through. Sometimes these events attract top-level talent. Greg Louganis competed in diving at the Gay Games shortly after winning several gold medals. It would be outstanding if a premier leaguer showed up here to play.